Majungasaurus was a carnivore (meat-eater) that lived in Madagascar during the late Cretaceous period, between about 70 and 65 million years ago. It was one of the last dinosaurs, and probably became extinct during the the Cretaceous-Tertiary mass extinction. Majungasaurus was a large predator which walked on its two hind legs. It probably was about 20 to 23 feet (6 to 7 meters) long, and weighed over 1 ton. It had short arms, and a wide skull with with a short snout caped by a single rounded horn. The only known herbivores at the time in the region were Sauropods such as Rapetosaurus, and it is therefore thought that Majungasaurus must have feed on them. Scientists have suggested that Majungasaurus was adapted to feed on on Sauropods (which would have been very powerful animals). Its skull, jaw and teeth suggest that it would have attacked its prey using a bite and hold attack (similar to the hunting strategy of modern cats), rather than the strategy probably used by most other Theropods of taking many bites (similar to the strategy used by modern dogs and wolves). Additional evidence that may support this theory is that Majungasaurus, as compared to most Theropods, had relatively short and stocky legs, and a low center of gravity. Majungasaurus is also known to have engaged in cannibalistic behavior (at the time of writing, the only other dinosaur that has also been suspected of cannibalism is Coelophysis, however in the case of Coelophysis, there is some doubt over it was in fact a cannibal). The evidence for Majungasaurus being a cannibal is that fossil bones of the animal (and as well as fossil bones of Sauropods that lived in the region), have been found showing teeth marks made by other Majungasaurus. It is not known however under what circumstances Majungasaurus would have engaged in cannibalism - it may have actively hunted its own kind, or it may simply have scavenged carcasses of other Majungasaurus. One possibility is that if two Majungasaurus fought over a killed prey animal, and one was killed during this fight, then it would have scavenged its rival's remains (this type of behavior is found in some modern animals such as Komodo dragons). African Dinosaurs - Majungasaurus lived in Madagascar. Majungasaurus was a genus of dinosaur. "Majungasaurus" means "Mahajanga lizard". It is named after the Mahajanga province of Madagascar - the reason the name uses an older spelling of the province's name. Majungasaurus was a member of the Saurischia ("lizard-hipped") order of dinosaurs. What this means, is that although Majungasaurus was not closely related to lizards, it did have similarly shaped pelvic bones. Majungasaurus was a Theropod - a member of a group of related bipedal dinosaurs that included the ancestors of birds (although Majungasaurus was not itself an ancestor of birds). Majungasaurus lived between about 70 million years ago and 65 million years ago, during the late Cretaceous period. Majungasaurus was one of the dinosaurs which died out during the Cretaceous-Tertiary mass extinction at the end of the Mesozoic Era. Majungasaurus was a carnivore (meat-eater). Majungasaurus was about 20 to 23 feet (6 to 7 meters) long. Majungasaurus weighed over 1 ton. 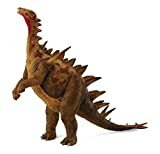 CollectA's replica of a Majungasaurus is lifelike down to its rough skin and the round horn at the top of its skull. 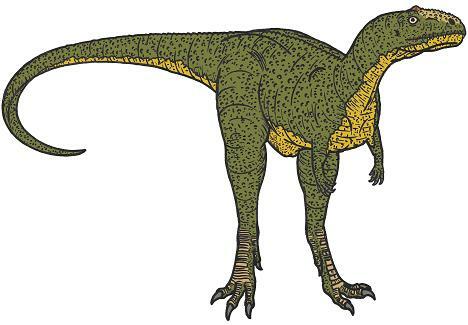 This dinosaur was originally called Majungatholus, but its official name as been changed to Majungasaurus. The bipedal predator lived in Madagascar approximately 70 - 66 million years ago, and the first fossil remains were discovered in 1896. The creature measured 20 - 23 feet in length and may have been up to 26 feet tall. This beautifully sculpted, collectible figure from our Prehistoric Life Collection measures 5.7''L x 2.2''H. Each figure in our Prehistoric Life Collection has been approved by archeologist Anthony Beeson, a well-respected expert in paleoimagery. All CollectA models are individually hand crafted to the highest standards and made with the finest and safest phthalate-free, lead-free materials. Create a natural world in miniature with high quality toy replicas from CollectA. Our mission is to educate collectors and to provide the greatest oppportunity for creative play. PNSO Little Dinosaurs 014 Majungasaurus 3"
FUN FACT: The Dacentrurus had relatively long front legs and a back that bore a series of small plates and sharp spikes. Dacentrurus means "tail full of points". PRODUCT SPECS: Deluxe Dacentrurus measures 7.9" L x 6.2" H making this figure a relatively large dinosaur model, but one that can still be held comfortably by the hands of a small child. CollectA's finely detailed replica of the Dacentrurus is detailed and lifelike, down to the spikes on its spine and shoulders. Like its relatives in the stegosaur genus, the herbivorous Dacentrurus had plates and spikes running down its spine and on its tail. This figure depicts the creature with spikes extending from its shoulders, which are shown in some portrayals. The Dacentrurus grew to be about 26 feet long and lived in the Late Jurassic Period, about 154 - 150 million years ago. Our 1:40 scale figure is depicted standing on its hind legs and measures 10.2''L x 6.5''H. Each prehistoric figure in our collection has been approved by archeologist Anthony Beeson, a well-respected expert in paleoimagery. All CollectA models are individually hand crafted to the highest standards and made with the finest and safest phthalate-free, lead-free materials. Create a natural world in miniature with high quality toy replicas from CollectA. Our mission is to educate collectors and to provide the greatest opportunity for creative play. 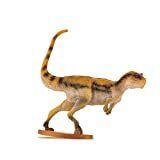 12 realistic, high-quality, PVC plastic dinosaur figures, eco-friendly, non-toxic, non-corrosive. Educational dinosaur toys for kids range from 5" - 7" in length, with varying heights. Recommended for ages 3+. Dinosaur play set is packaged in an attractive display box which makes it easy to gift or set up for party favors. This set of 12 plastic dinosaurs will make a great addition to any DinOccasion! 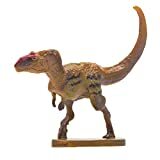 Whether you need something to entertain your child, party favors for that Dino Party, or you just want something to have on hand as a reward, these realistic dinosaur figure toys are great for everything. Dinosaur playset is packaged in an attractive display box which makes it easy to gift or set up for party favors. This product meets the American Toy Safety Standards. Each replica comes with 5-language educational hangtag. It was known for its monstrous appearance and was approximately 59 feet long. Megalodon was the biggest prehistoric shark that ever lived; it was the largest predatory marine creature in the history of the planet. FUN FACTS: Diplodocus means: "Double beam", and this comes from a the feature of the backbone. They were also the longest dinosaur at 88 feet long. PRODUCT SPECS: Diplodocus measures 7.87 in L x 2.76 in W and is suitable for children ages 3 and up. CollectA replica of the diplodocus is lifelike and detailed, down to the texture of its skin, and the wrinkles on its belly. Its whip-like tail and long neck have made the diplodocus one of the most familiar dinosaurs. The creature lived approximately 155 - 148 million years ago, and may have been 177 feet long, and probably weighed 125 short tons. The diplodocus lived in the area now made up of Colorado, Utah, Montana and Wyoming. This beautifully sculpted, collectible figure from our prehistoric life collection Measurse7.5'' X 9.4''H. The carefully sculpted figure has been approved by archeologist Anthony beeson, a well-respected expert in paleoimagery. All CollectA models are individually hand crafted to the highest standards and made with the finest and safest materials, guaranteed to be phthalate-free and lead-free. Create a natural world in miniature with high quality toy replicas from CollectA. Our mission is to educate collectors and to provide the greatest opportunity for creative play. FUN FACTS Sarcosuchus means "Flesh crocodile" and lived in what toda is the Sahara Desert. Weighed as much as 2 elephants. PRODUCT SPECS: Sarcosuchus measures7.28 in L x 2.56 in W x 2.17 in H, and is suitable for ages 3 and up. CollectA's replica of the Sarcosuchus is lifelike down to its scaly hide and crocodilian snout. The prehistoric reptile lived 112 million years ago in areas that form South America and Africa. The first fossil remains of Sarcosuchus were found in the Sahara desert in the mid 1900's. Six additional specimens were discovered between 1997 and 2000. It weighed about 8 tons and was twice as long as today's crocodile. This beautifully sculpted, collectible figure from our Prehistoric Life Collection measures 7.3''L x 2.2''H. Each figure in our Prehistoric Life Collection has been approved by archeologist Anthony Beeson, a well-respected expert in paleoimagery. All CollectA models are individually hand crafted to the highest standards and made with the finest and safest phthalate-free, lead-free materials. Create a natural world in miniature with high quality toy replicas from CollectA. Our mission is to educate collectors and to provide the greatest opportunity for creative play. ENORMOUS SAUROPOD - Living around 150 million years ago during the Late Jurassic Period, the Apatosaurus was an enormous creature, growing to an average length of 75 and weighing at least 18 tons. MADE WITH INDUSTRY-LEADING STANDARDS - Like all Safari Ltd products, the Safari Ltd Apatosaurus has been individually hand painted, features quality construction from phthalate and lead-free materials, and includes an educational hangtag in 5 languages. PRODUCT SPECIFICATIONS - Measures 15.2"L x 3.3"W x 6.4"H. For ages 3 and up. Extra large means extra realistic! Children marvel at our jumbo-sized "Great Dino" collection of some of the best-known dinosaurs to ever roam the planet. Sometimes referred to as "Brontosaurus," Apatosaurus was neither as long as a Diplodocus, nor as heavy as a Brachiosaurus. 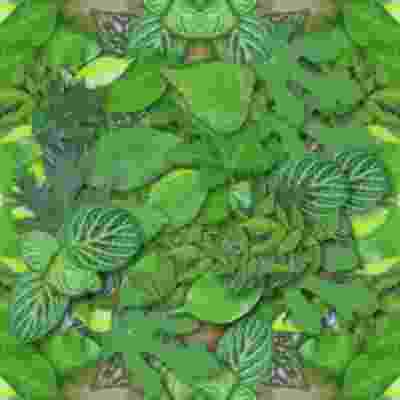 It had long, slender teeth that grew only on the front of its mouth. Like sharks, their teeth were replaced as they became worn or damaged. Scientists now accept that it reared on its two hind legs to reach leaves on the higher branches of trees. Some also believe that it may have used this posture and its great weight to defend itself if attacked.